Better late than never, here’s my take on the performance of the British teams, and especially of the England Roses. 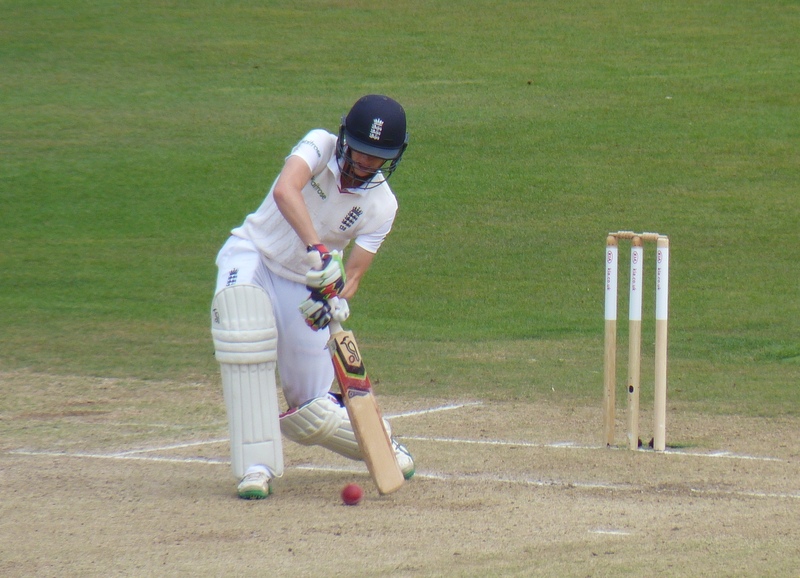 Back from Canterbury – what next for England? If anything was a cast-iron certainty, an England win was it. So, you can imagine my shock when I sat in the stands at the Spitfire Ground and watched England’s batting being blown away. We travelled down on the Tuesday, listening to the excellent TMS commentary on the way. 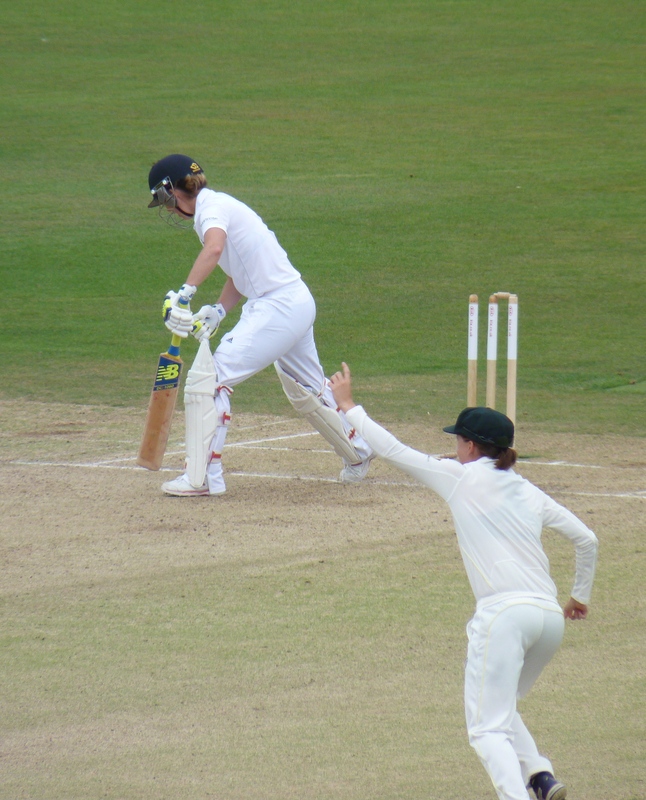 I was buoyed by the bowling – the stalwart Anya Shrubsole and Katherine Brunt doing the job admirably. In fact I was much heartened by Shrubsole, who I thought had had a couple of below par performances recently and appeared to have lost a yard of pace. admittedly we couldn’t quite winkle out those last two wickets, but I thought it would be a formality the next morning and 268/8 from the first day was acceptable. The next day we arrived at the ground bright and cheerful, unlike the weather. Lanning eventually put the English bowling out of its misery and declared on 274/9. I think this is where it all started to go wrong. England suffered the indignity of not being able to finish off the innings and the openers just didn’t know when they would be expected to bat. After lunch it all went to pieces with Knight,Winfield and Taylor going cheaply with only Edwards putting up a fight. Taylor did her usual playing across the line and went for a duck. But she wasn’t the only one giving it away. At several points the innings was becalmed to the point of coma. Thank God for Katherine Brunt, who was clearly as mad as hell at the performance of the batters and was determined to single-handedly get England to a decent score. 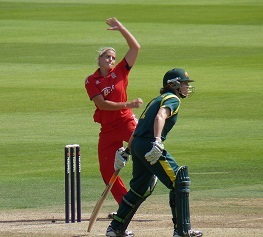 Bravely Anya Shrubsole backed her up, albeit for absolutely no runs from 47 balls. But when Brunt went, England subsided to a pitiful 168 all out. I had witnessed it all and was not impressed. What happened on the next two days has been well documented by greater writers than I, but suffice it to say, things did not get any better. The Aussies took it to England in their second innings, and a number of steady contributions meant that they could declare on 156/6, a mere 262 ahead. Let’s face it, there was never any chance England were going to chase that. The best that could be hoped for was a battling draw. But it would have been nice if England had shown any sign of wanting to chase it. I think we would all have preferred a defiantly bold defeat. But no. It was one of the saddest collapses I have seen (I may have mentioned that I was at Trent Bridge to see the Aussies get bowled out for 60 – but no, “sad” was not the word I’d use for that). Taylor bagged a pair and Perry looked unplayable, taking 6/32. The bowling and fielding were good, but the batting was woeful in both innings. I’m surprised by this as I don’t think, beyond Perry, that the Australian attack is all that special. And, as I have said before, we seemed to lack a plan B.
I’m not going to beat about the bush, I think the Ashes have gone. There’s no way England will win all of the T20s to retain the trophy. I may not want to, but I’m going to accept that and move on. But I see that cricket writers everywhere are having their say on the Test, as is their wont. Mike Selvey, in the Guardian, for whom I have great respect and with whose opinions I often agree has stated that he thinks women should give up test cricket to concentrate on the shorter forms. I’m sorry, but this is not the way I think it should go. I’m more in tune with Andy Zaltzman on Cricinfo as he argues that the women need to play more test cricket, not less, if they are ever to progress. I know that in these days it is hard enough to get some men’s test-playing nations enthusiastic about test matches, and audiences seem to be dwindling, but I am firmly convinced that that trend can be reversed. I don’t want to see the game become a matter of constantly bashing the ball out the ground. I don’t want cheerleaders and razzle dazzle at the expense of skill and flair. I want it to be a genuine contest between bat and ball. The only arena in which this truly happens is in test cricket. So why can’t women be a part of this? The women enjoy playing test cricket, but they don’t play enough to hone their skills – should we deprive them of the chance to give it their best shot? Mike Selvey says “you have to let it go”. I say, test cricket is a beautiful game. Let’s do more of it, let’s train for it, play it, promote it, show everyone its worth. In other words, let’s not let it go, but hold onto it with everything we’ve got. Thanks to Michael Hopkins for all photos. 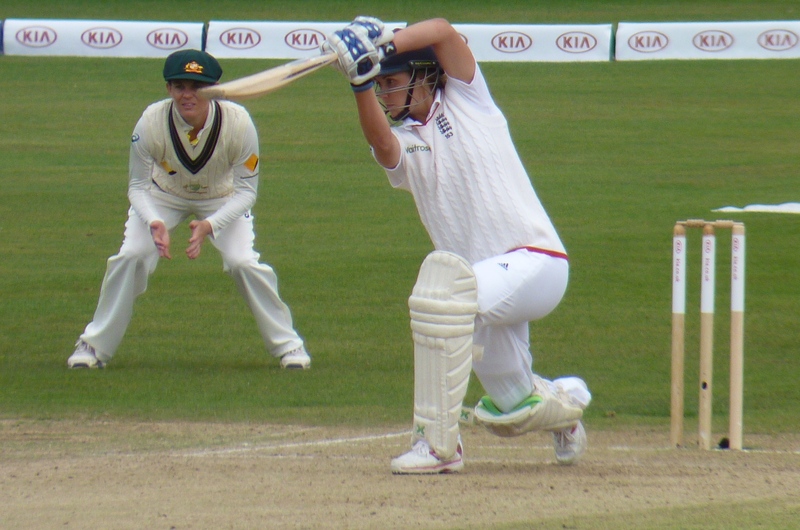 This week I’m off to Canterbury to watch the women’s Ashes Test. I was privileged enough to be at Trent Bridge last Thursday to witness the best day of cricket I have ever seen. I’m hoping the women can match it! Anyway, the point of this post is not to boast of my travels, but to say that on my return I’m going to start a series of articles on the plethora of information out there for any woman wanting to get involved in sport, be it playing, coaching, officiating, reporting, administrating or whatever. The profile of women’s sport is booming! Websites, Twitter feeds, Facebook, podcasts, etc etc., are all there to be followed, accessed and disgested. Some are mainstream, some are more niche, but all are worthy of your time and attention. Many of the contributors work for the love of it. There’s a whole lot of people and organisations out there trying to promote women’s sport. The acronyms can be confusing, though, so if you can’t tell your WSUK from your WiSP keep reading! Back next week from my sojourn in Kent, hopefully with England up with just the Twenty20s to go.